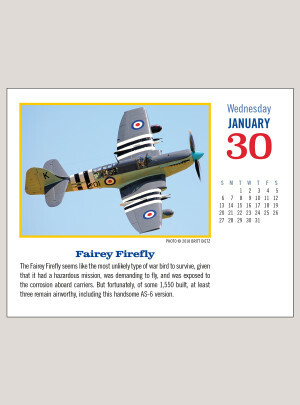 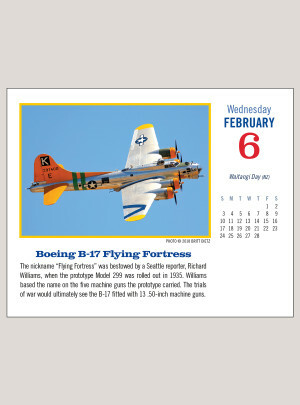 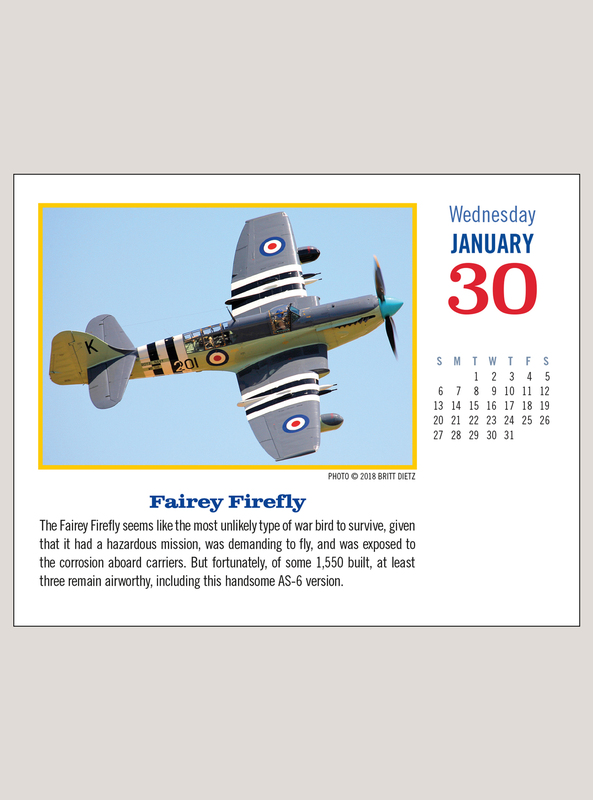 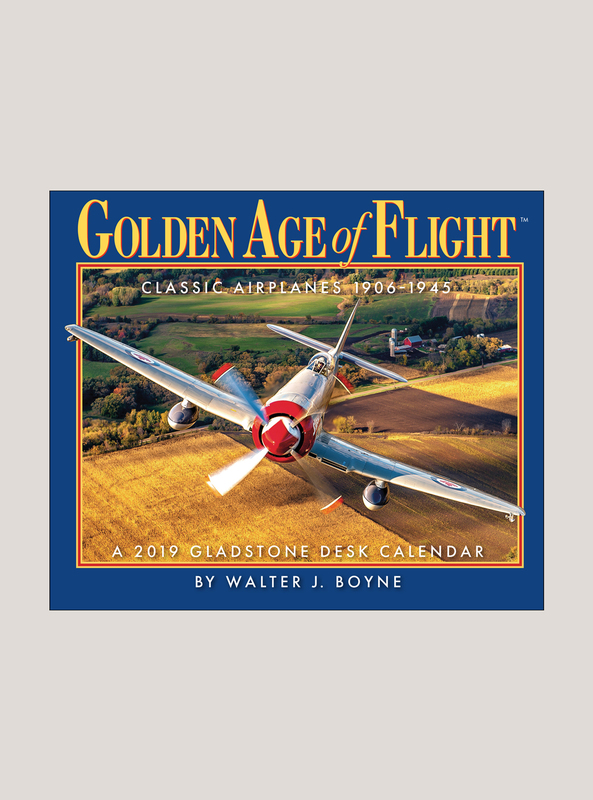 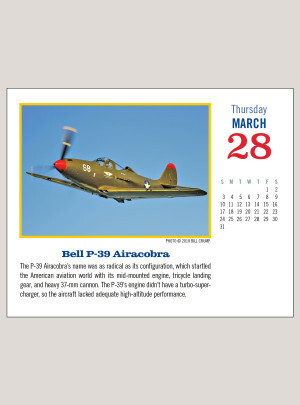 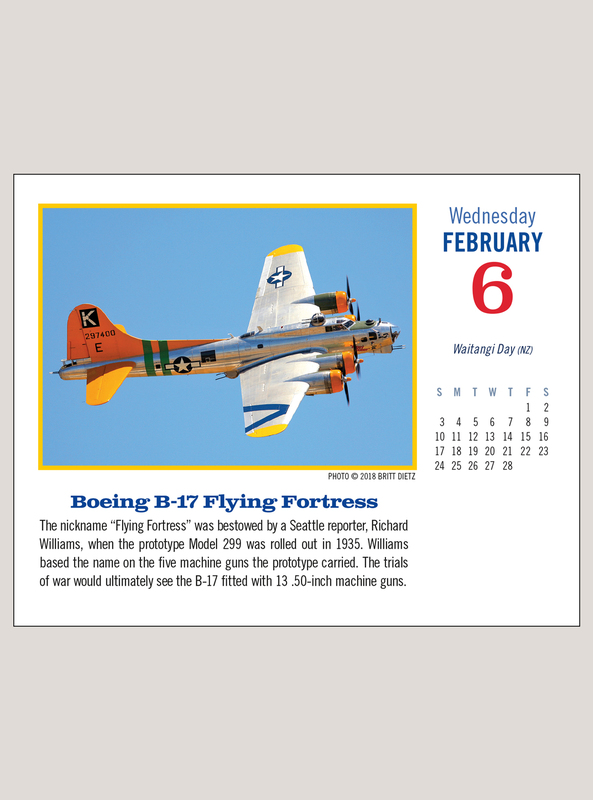 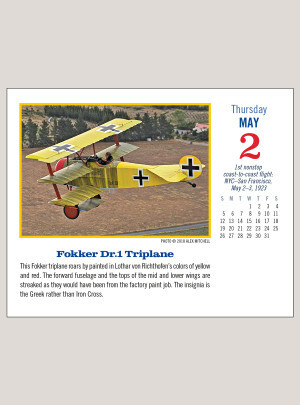 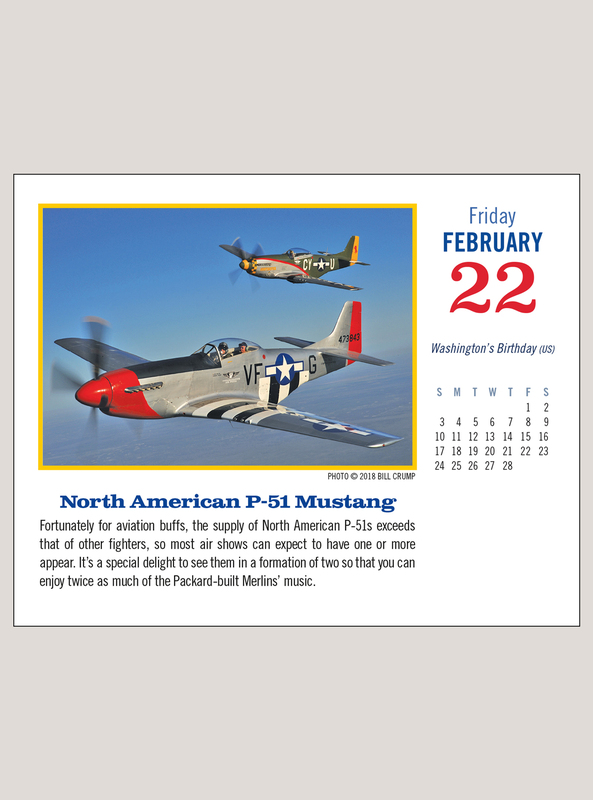 The Golden Age of Flight™ desk calendar showcases propeller-driven aircraft, from the canvas-and-wood biplanes and triplanes of WWI to the aluminum-and-steel steeds of WWII. 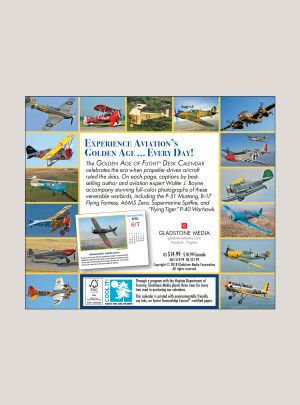 Detailed captions by best-selling author Walter J. Boyne accompany color photographs of these venerable warbirds. 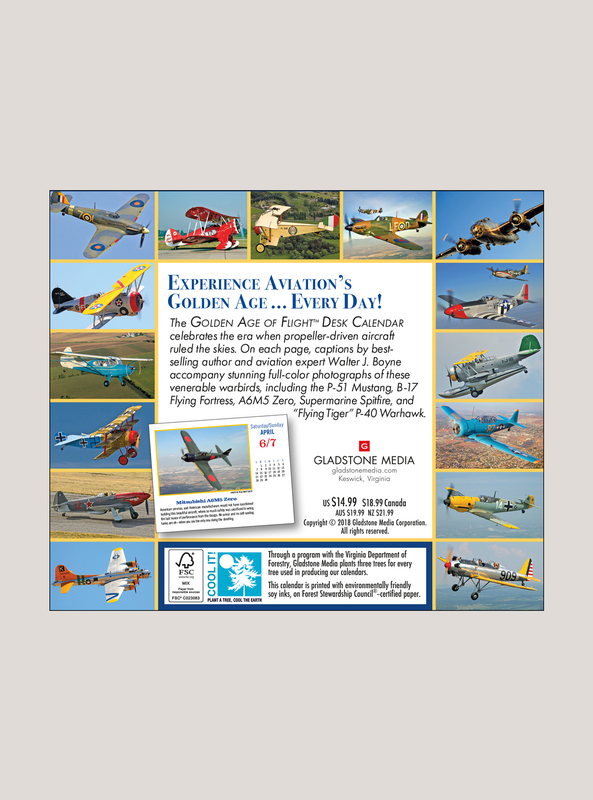 Featured aircraft include the B-17 Flying Fortress, P-51 Mustang, Supermarine Spitfire, Fokker Dr.1, Douglas DC-3, Beech Staggerwing, A6M5 Zero, and Curtiss P-40 Warhawk. 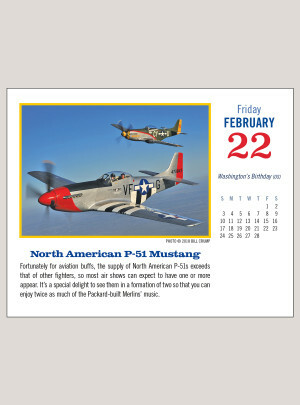 Best thing to happen to a desk!